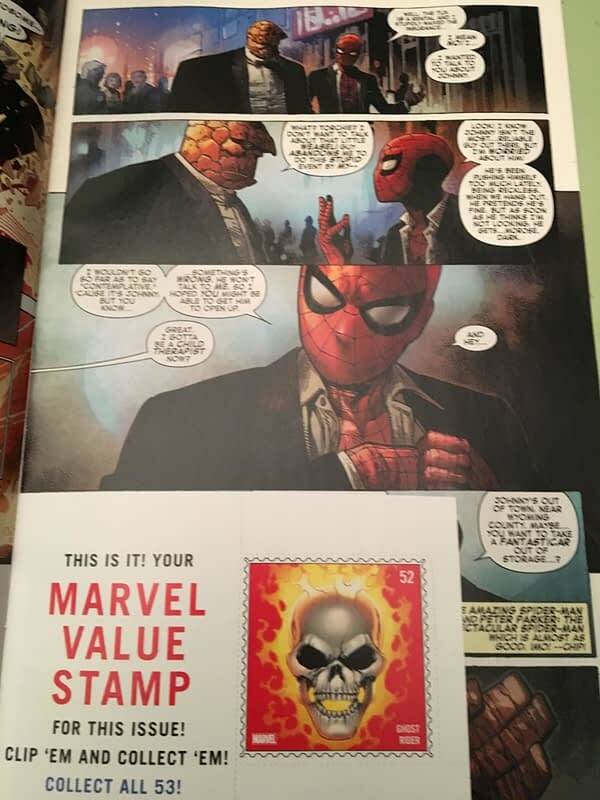 The Marvel Value Stamp was a ’70s promotion, revived for the recent Marvel Legacy not-a-relaunch from Marvel Comics. 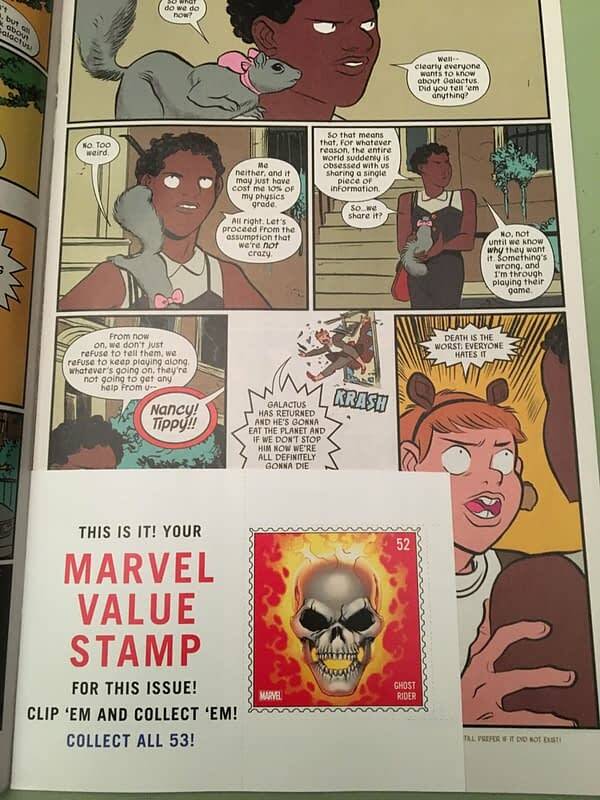 The idea was that people could collect stamps from all the Marvel Legacy not-a-launch titles, stick them in specially-issued Marvel Value Stamps albums, and win loyalty points from Marvel. They also weren’t on the lenticular variant covers, so it was also a reward for paying full $3.99 whack for the non-lenticular versions. Calamity! Disaster! The end of the collection scheme as we know it! We look forward to Marvel Comics making reparations at the appropriate juncture.